Miele Inc., a Delaware corporation (hereinafter “Miele”), warrants to the original purchaser (the “Miele Customer”) of the Miele product (the “Miele Product”), who purchased the appliance from a distributor, dealer, manufacturer’s representative, or other seller who has been authorized by Miele (“Authorized Miele Dealer”), that this Miele Product, including any of its original accessories, is free of defects in material and workmanship, subject to the terms and conditions set forth herein. This Limited Warranty covers parts and labor, except as set forth in this Limited Warranty. Where Is This Limited Warranty Valid? This Limited Warranty is only applicable, if the Miele Product was installed in the United States of America (“U.S.”) or Puerto Rico by an installer authorized by Miele (“Authorized Miele Installer”), or if the Miele Product is a Miele Marine appliance and was installed on board a vessel before it left the U.S. or Puerto Rico. What Is Required to Request Warranty Service? Verification of the purchase date and of the authorized installation shall be required before warranty service is performed. When Does The Limited Warranty Expire? One (1) Year or Two (2) Year Limited Warranty - Any warranty claims for residential Miele Products must be received by Miele within one (1) year from the date of purchase. If the Miele Product was properly installed and registered by an Authorized Miele Installer, this Limited Warranty will be extended for an additional (1) year. Five (5) Year Limited Warranty - If a claim regarding a defect in material or workmanship relating to the Sealed Refrigeration Systems used in Miele Refrigerators, Wine Coolers, and Freezers is received by Miele within five (5) years from the date of purchase, then any warranted failures of the Sealed Refrigeration System shall be repaired at no cost to the Miele Customer. This includes both parts and labor. Ten (10) Year Limited Warranty - If a claim of such a defect is received at any time during the period starting on the first day of the sixth (6th) year and ending on the last day of the tenth (10th) year after the date of purchase, this Limited Warranty shall cover the replacement of all parts of the Sealed Refrigeration System that are found to be defective, but shall not cover labor. Six (6) Month Limited Warranty – Any warranty claims for Miele Products not used exclusively for household and personal use, used commercially or used in a mobile or aeronautical application must be received by Miele within six (6) months from the date of purchase. An additional Limited Warranty for the Sealed Refrigeration System, which includes all original compressors, condensers, evaporators, driers, the original refrigerant and the original connecting tubing, is extended for one (1) year from the date of purchase. Please refer to Miele's "Limited Warranty - RemoteVision® Module - USA". An additional Limited Warranty covering Parts & Labor of one (1) year (2 years total) applies to all CM model (CMxxxx) countertop coffee machines and FashionMaster® ironing systems which are used non-commercially and exclusively for Household/Personal purposes, and have been registered with Miele, Inc.
Miele Products may be registered online at https://www.mieleusa.com/domestic/product-registration-3297.htm or by filling out a Limited Warranty Card and mailing it to Miele, Inc., 9 Independence Way, Princeton, N.J. 08540. What If Repair Is Impossible? If Miele determines that the warranted repair of any Miele Product is impossible, the Miele Product shall, at Miele’s discretion, either be replaced or refunded. Damage or defects caused by, or resulting from, repairs, service, conversion or alterations to the Miele Product or any of its parts and accessories which have been performed by service centers or repairmen not authorized by Miele; damage or defects caused by negligence, improper installation, accident, abuse, misuse, power interruptions, power surges, floods, natural disasters, or force majeure; or improper maintenance of the Miele Product or its parts or accessories. Direct, indirect or consequential damages, losses or other costs and expenses resulting from any spoilage of any items stored in a Miele refrigeration system, including refrigerators, wine coolers and freezers, whether they be food, medicine, or otherwise, or damage to or destruction or loss of clothing or other textiles, dishes, china, flatware or other items placed in a Miele Product. Consumable items such as water filter cartridges. Miele Products covered by third party "Extended Warranties", which are sold separately by dealers, distributors or other third parties. Freight or shipping charges for sending an appliance to a Miele Repair Center. Products installed in cabinetry and other types of built-in applications that are not accessible to the service technician. We are not responsible for the dismantling or reinstallation of fixed infrastructure when removing or returning repaired or replaced product into a custom installation. Any express or implied warranties with respect to the Miele Product are limited in their duration to the term of the Limited Warranty provided herein, including without limitation any warranty of merchantability or fitness for a particular purpose. Miele specifically disclaims any and all liability, whether directly or by way of indemnity, for special, incidental, consequential, punitive or exemplary loss or damage, including as a result of food spoilage or damage to or destruction or loss of clothing or other textiles, dishes, china, flatware or other items placed in a Miele Product or other consequences of any defect in materials or workmanship (including loss or damage to property, personal injury or death), whether based on breach of contract, tort, strict or product liability, or any other legal theory. If the Miele Customer is not satisfied with the warranty service, he or she must submit a claim in writing to Miele’s Dispute Settlement Representative at Miele, Inc., 9 Independence Way, Princeton, N.J. 08540. The written notice must include the model and serial number of the Miele Product, the Authorized Miele Dealer (or seller) from which the Miele Product was purchased, the Authorized Miele Servicer Provider who performed the warranty service, the purchase date, a detailed description of the problem and the address at which the Miele Customer can be reached. Miele is committed to review each such notice promptly and thoroughly and to respond to the Miele Customer in order to settle such dispute. Any decision is not binding. The Miele Customer is free initiate an action or proceeding; however, under federal law, no such lawsuit may be initiated unless and until the dispute settlement procedures outlined in this Limited Warranty have been exhausted. Any warranty claims shall be governed by the laws of the State of New Jersey and shall be subject exclusively to the jurisdiction of the courts located in Mercer County, New Jersey. If Miele prevails, Miele shall be entitled to reimbursement of all costs and expenses, including attorney’s fees, from the Miele Customer. This Limited Warranty gives the Miele Customer specific legal rights. In addition, the Miele Customer may have other rights, which may vary, from state to state. In addition to this Warranty, customers owning Miele Residential appliances are eligible to purchase an extended limited warranty for their household appliances, subject to the terms set forth on Miele’s website. For more information, please visit us at https://www.mieleusa.com. How To Obtain Warranty Service For The Miele Product? If during the relevant warranty period the Miele Customer finds the Miele Product to be defective in material or workmanship and the failure is promptly and timely reported to Miele in accordance with this Limited Warranty, an authorized Miele service agent (“Authorized Miele Service Agent”) shall be dispatched to determine whether the Miele Product is defective and, if the Miele Product is defective and covered by this Limited Warranty, shall, if possible, repair, or make arrangements for the repair of, the Miele Product at no cost to you. This will include parts and labor. Miele reserves the right to charge for exceptional shipping or transportation costs (e.g., ferries, plane trips or mileage in excess of 50 miles) as appropriate. For service under this Limited Warranty, or for product information, please contact Miele Technical Service at technicalservice@mieleusa.com or by calling 888-99-MIELE. a. 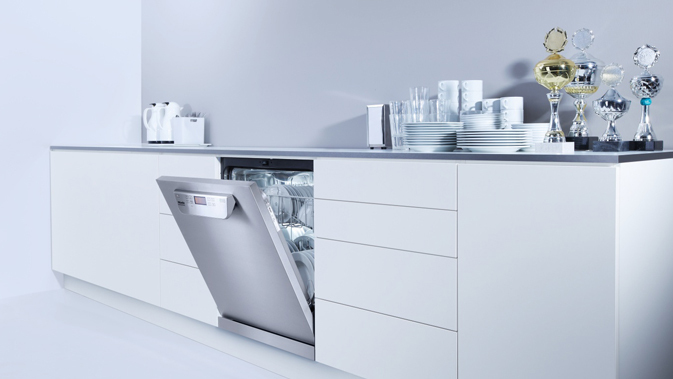 That this product, including all of its Miele authorized parts is free of defects in material and workmanship. b. That this product, if found to be defective within the stated warranty period, will be repaired free of charge to the consumer (both parts and labor) by an authorized Miele service agent. c. The warranty period for vacuum cleaners other than those listed below and the Scout RX1 and RX2 is one (1) year from the date of purchase, with the following exceptions; vacuum motors, power head motors, and the structural integrity of the vacuum cleaner casings (bodies) are warranted for seven (7) years from the date of purchase. d. The warranty period for the models listed below is five (5) years from the date of purchase, with the following exceptions; vacuum motors, power head motors, and the structural integrity of the vacuum cleaner casings (bodies) for these models are warranted for ten(10) years from the date of purchase. f. This warranty only applies while the product remains within the United States, and is null and void in any other US territories, possessions, or foreign countries. 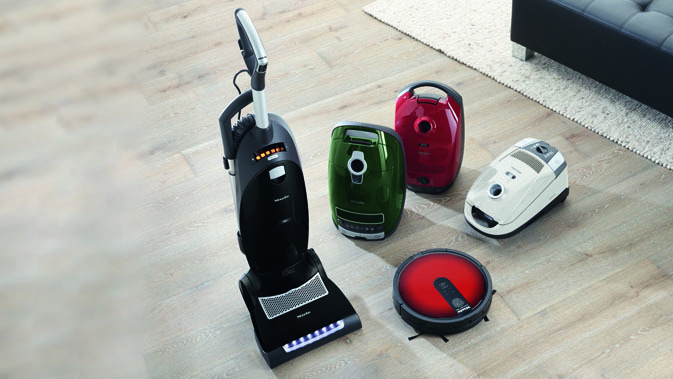 Vacuum cleaners other than the Scout RX1 and Scout RX2 used for commercial purposes, except for their motors, will be warranted for a period of six (6) months from the date of purchase. The motors of commercially used upright vacuums will be warranted for one (1) year and the motors of all other commercially used vacuum cleaners, except for the Scout RX1 and Scout RX2 will be warranted for two (2) years. There is no warranty for the Scout RX1 or Scout RX2 used for commercial purposes. Thereafter this Limited Warranty shall be null and void. 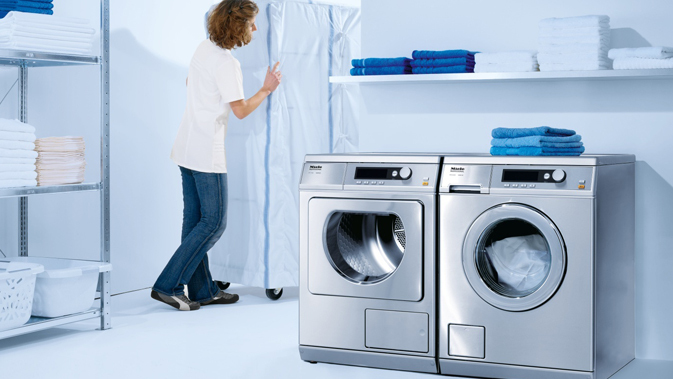 For service under this Limited Warranty, or for information you may need about the product, please contact Miele USA. Miele Inc., a Delaware corporation (hereinafter “Miele”), warrants to the original purchaser (the “Miele Customer”) of a Miele Professional Washing Machine, Dryer, or Rotary Iron (hereinafter “Miele Product”) who purchased the appliance from a distributor, dealer, manufacturer’s representative or other seller who has been authorized by Miele (“Authorized Miele Dealer”) that the Miele Product, including any of its original accessories, is free of defects in material and workmanship, subject to the terms and conditions set forth herein. This Limited Warranty covers the cost of parts and labor, except as set forth in this Limited Warranty. This Limited Warranty is only applicable, if the Miele Product was installed in the United States of America (“U.S.”), or Puerto Rico by an installer authorized by Miele (“Authorized Miele Installer”), for land based commercial or industrial purposes. Miele reserves the right to require satisfactory verification of the purchase date and of the authorized installation of the Miele Product in question before warranty service is performed. One (1) Year Limited Warranty - Any warranty claims for Miele Products used for land based industrial or commercial purposes, must be received by Miele within one (1) year from the date of purchase. Drum, Drum Bearings, and Bearing Seals (parts only) of warranted Miele Products. 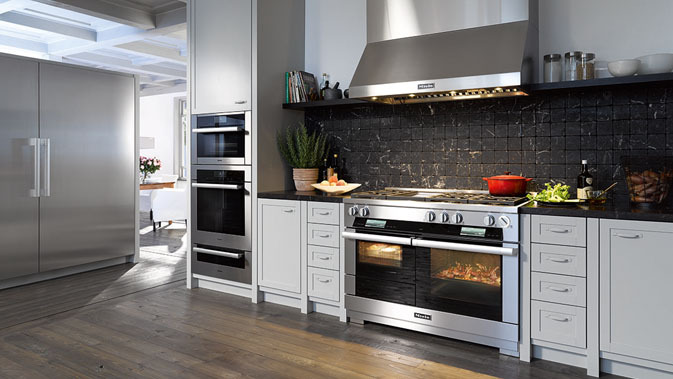 Unless registration is not required or prohibited by applicable state law, Miele Products must be registered by filling out a Limited Warranty Card and mailing it to Miele, Inc., 9 Independence Way, Princeton, N.J. 08540 or e-mailing it to ProService@Mieleusa.com. What If Repair Cannot Be Provided? If Miele determines that the warranted repair of any Miele Product is impossible, Miele may in its discretion determine to replace the product with a product of similar or equal features and functionality, or to pay a refund. If the Miele Product has been repaired or replaced, Miele will have no further obligation or liability under this Limited Warranty or otherwise. The total amount of the refund will in no event exceed the net purchase price of the Miele Product paid to Miele. In the event that Miele’s Authorized Service Agent determines that it cannot service the Miele Product due to poor accessibility or unsafe working conditions, or that it cannot restore the Miele Product to safe and working conditions due to reasons beyond the scope of this Limited Warranty, the Miele Authorized Service Agent shall not be required to proceed with the covered repair until the owner has remedied the applicable hazard at its cost and to the satisfaction of the Miele Authorized Service Agent. negligence, malfeasance, recklessness, accident, abuse, misuse, power interruptions, power surges, theft, vandalism, animal or insect infestation, rust, dust, corrosion, exposure to weather conditions, floods, natural disaster, any act of nature or any other peril originating from outside the Miele Product or any force majeure. Miele Products installed on ships, yachts, oil rigs or used in any other Marine application. Miele Products covered by third party “Extended Warranties” or other separate third party warranty agreements or arrangements, which are sold separately by dealers, distributors or other third parties. ANY EXPRESS OR IMPLIED WARRANTIES WITH RESPECT TO THE MIELE PRODUCT SHALL BE LIMITED IN THEIR DURATION TO THE TERM OF THE LIMITED WARRANTY PROVIDED HEREIN, INCLUDING WITHOUT LIMITATION ANY WARRANTY OF MERCHANTABILITY OR FITNESS FOR A PARTICULAR PURPOSE. MIELE SPECIFICALLY DISCLAIMS ANY AND ALL LIABILITY, WHETHER DIRECTLY OR BY WAY OF INDEMNITY, FOR SPECIAL, INCIDENTAL, CONSEQUENTIAL, PUNITIVE OR EXEMPLARY LOSS, LIABILITY OR DAMAGE, INCLUDING ANY CLAIM FOR LOSS OF PROFIT, ANY CLAIM FOR ATTORNEYS’ OR OTHER PROFESSIONALS’ FEES AND EXPENSES, OR OTHER CONSEQUENCES OF ANY DEFECT IN MATERIALS OR WORKMANSHIP (INCLUDING LOSS OR DAMAGE TO PROPERTY, PERSONAL INJURY OR DEATH), WHETHER BASED ON BREACH OF CONTRACT, TORT, STRICT OR PRODUCT LIABILITY, OR ANY OTHER LEGAL THEORY. If the Miele Customer is not satisfied with the warranty service, he, she or it must submit a claim in writing to Miele’s Dispute Settlement Representative at Miele, Inc., 9 Independence Way, Princeton, N.J. 08540. The written notice must include the model and serial number of the Miele Product, the Authorized Miele Dealer (or seller) from which the Miele Product was purchased, the Authorized Miele Service Provider who performed the warranty service, the purchase date, a detailed description of the problem and the address at which the Miele Customer can be reached. Miele is committed to review each such notice thoroughly and in a timely manner, and to respond to the Miele Customer in order to settle any such dispute. Any decision shall not be binding. The Miele Customer shall be free to initiate an action or proceeding; however, no such lawsuit may be initiated unless and until the dispute settlement procedures outlined in this Limited Warranty have been exhausted. Any warranty claims shall be governed by the laws of the State of New Jersey and shall be subject exclusively to the jurisdiction of the courts located in Mercer County, New Jersey. If Miele prevails, Miele shall be entitled to reimbursement of all costs and expenses, including attorney’s fees, from the Miele Customer. How To Obtain Warranty Service For Professional Miele Products? If during the relevant warranty period the Miele Customer finds a Professional Miele Product to be defective in material or workmanship and the failure is promptly and timely reported to Miele in accordance with this Limited Warranty, an authorized Miele service agent ("Authorized Miele Service Agent") shall determine whether the Miele Product is defective. Miele reserves the right to charge for exceptional shipping or transportation costs (e.g., ferries, plane trips or mileage in excess of 50 miles) as appropriate. For service under this Limited Warranty or for product information, please contact Miele Professional Service by calling 800-991-9380. Miele Inc., a Delaware corporation (hereinafter “Miele”), warrants to the original purchaser (the “Miele Customer”) of a Miele Professional Labwasher, Disinfector, Dishwasher, or Laundry Product (of less than 10kg advertised capacity) (hereinafter “Miele Product”) who purchased the appliance from a distributor, dealer, manufacturer’s representative or other seller who has been authorized by Miele (“Authorized Miele Dealer”) that the Miele Product, including any of its original accessories, is free of defects in material and workmanship, subject to the terms and conditions set forth herein. This Limited Warranty covers the cost of parts and labor, except as set forth in this Limited Warranty. This Limited Warranty is only applicable, if the Miele Product was installed in the United States of America (“U.S.”) or Puerto Rico by an installer authorized by Miele (“Authorized Miele Installer”), or if the Miele Product was marketed as a Miele Marine appliance and installed on board a vessel, before it left the U.S. or Puerto Rico. One (1) Year or Two (2) Year Limited Warranty - Any warranty claims for Professional Miele Products used for household purposes must be in writing and received by Miele within one (1) year from the date of installation, or eighteen (18) months from the date of purchase, whichever is later. If the Professional Miele Product was properly installed for use in a household by an Authorized Miele Installer and properly registered with Miele, this Limited Warranty will be extended for one (1) additional year from the date of installation. One (1) Year Limited Warranty - Any warranty claims for Professional Miele Products used for industrial, commercial or other purposes must be received by Miele within one (1) year from the date of installation, or eighteen (18) months from the date of purchase, whichever is later. How To Obtain Warranty Service For a Miele Professional Products? If during the relevant warranty period the Miele Customer finds a Miele Professional Product to be defective in material or workmanship and the failure is promptly and timely reported to Miele in accordance with this Limited Warranty, an authorized Miele service agent (“Authorized Miele Service Agent”) shall determine whether the Miele Product is defective. Miele reserves the right to charge for exceptional shipping or transportation costs (e.g., ferries, plane trips or mileage in excess of 50 miles) as appropriate.